Though the Dutch did not win the World Cup final this past weekend, they have succeeded in another area: enticing IP investment with strong tax incentives for companies undertaking R&D. Formerly known as the “patent box”, the recently-amended (as of January 1, 2010) “innovation box” is a tax benefit for Dutch owners of patents or other intangible assets for which a special R&D-qualification certificate has been granted. R&D expenditures are deductible from the general corporate income tax rate of 25.5%. However, once the losses and expenditures have been recouped, assets may be included in the innovation box, through which the tax rate on all corresponding profits, including through licensing, drops to 5%. As there is no cap on the amount of R&D asset profits that are eligible for taxation at the lower tax rate, you can even benefit from the innovation box if and when you sell an R&D asset for significant capital gains. Generally the income from the R&D asset must be linked to self-development of the asset through R&D within the Netherlands. There are some exceptions for multinational corporations that have operations split between domestic and international locations, so check with your Dutch tax specialist when determining if your R&D asset is eligible for taxation through the innovation box. Foreigners take note, though sometimes called Holland, the Netherlands is made up of twelve provinces, of which North and South Holland are only two! Its patent office, the NL Patent Office, is located in Rijswijk, on the outskirts of Den Haag (where the seat of government is located) and about an hour from Amsterdam by car or train. 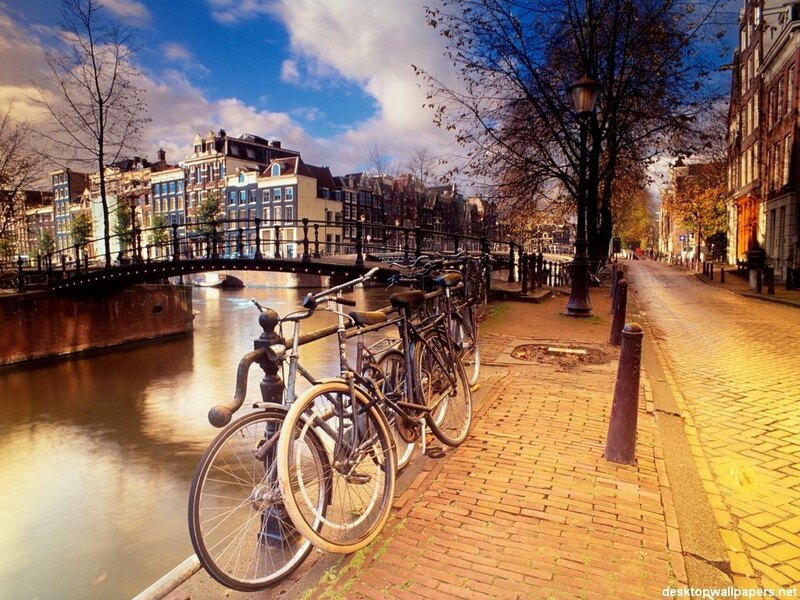 Amsterdam is the Dutch capital and its largest city. Its name comes from Amstellerdam, indicating its location as the site of a dam in the river Amstel. Banks Mansion Amsterdam is an excellent accommodation option. It is located on Herengracht Canal, which is a lovely backdrop for most of the hotel’s rooms. Or for a more quirky, yet charming, accommodation, try Misc eatdrinksleep. It is a small six-room hotel in a modernized 17th-century townhouse overlooking the canal near Nieuwmarkt Square with a private garden in the back. Each room has a king bed and features a different theme for the lovely room décor. Stay at the Hotel Okura Amsterdam if you need to be near the RAI Convention Center. Situated on Amstel Canal, Hotel Okura features a business lounge, conference rooms, four restaurants, two bars, a culinary center (if you’d like a cooking lesson with a professional chef), a fitness center, swimming pool and a parking lot. If you didn’t already realize, I’ll point out the obvious: Amstel beer is brewed here and named for the river next to which it has historically been brewed. Heineken (which also brews Amstel), Grolsch and Bavaria are also well-known Dutch beers. While in Amsterdam, visit the old Heineken brewery for the Heineken Experience, an interactive tour that shows you how the beer is brewed. Then taste some samples and create a personalized label for your own take-home bottle of Heineken. Among the many world-class art museums in the city are the Rijksmuseum, the Van Gogh Museum, and the Hermitage Amsterdam. A museum of a different sort, the Anne Frank House is not to be missed. It was here that Anne Frank wrote her famous diary while in hiding with her family. The Anne Frank House is located at Prinsengracht 263, an address that, by virtue of my recall from a visit several years ago, won me a pint of Amstel in a bar trivia contest. Finally, as a daily reader and sometime supplier of information to IP Kat, I must recommend a visit to KattenKabinet. Yes indeed, it is a museum dedicated to cats! John Adams once resided in this building in which the five cats of KattenKabinet now roam. Of course, no trip to Amsterdam would be complete without a boat ride along the canals. There are many operators that offer short excursions, so set aside some time to arrange a canal boat tour. Also highly recommended: a day trip to Delft, a historical town famous for its beautiful blue and white pottery, known as Delftware. Delft is located very near Den Haag and Rijswijk, so it’s a good place to visit before or after conducting business at the NL Patent Office. And, as the name of this post suggests, tulips carry a significant importance in the Netherlands; they are a symbol of the country that you must see and enjoy while in the country. If you are in the Netherlands during springtime, visit the Keukenhof Flower Gardens in Lisse (about half way between Amsterdam and Den Haag). 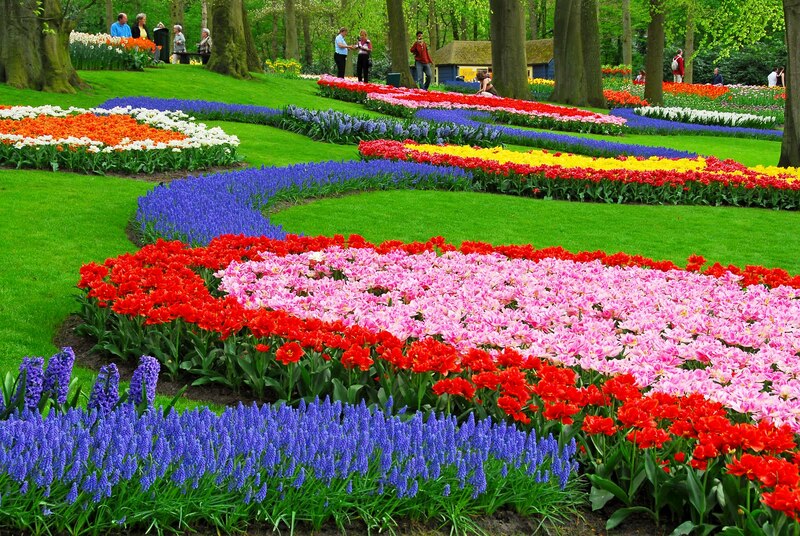 This flower garden is the world’s largest – wear comfortable footwear to amble through fifteen kilometers of walking paths among seven million flowers, 4.5 million of which are tulips of every color! Readers, where should I visit next? Let me know your thoughts! Herengracht Canal. There is redundancy here, "gracht" is the word for canal in Dutch.